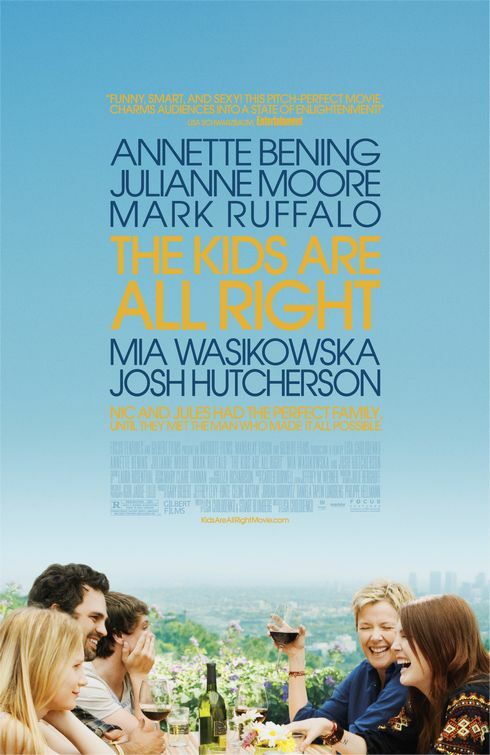 The Kids Are All Right stars Annette Bening, Julianne Moore, and Mark Ruffalo. 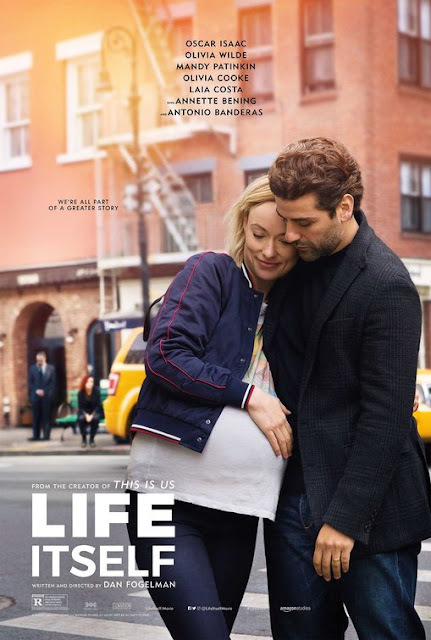 That’s important because their performances are the main reason to see Lisa Cholodenko’s latest film, a dramedy about the DNA of a family unit and the chemistry necessary in order to keep a marriage alive. Cholodenko is a director whose work, including High Art and Laurel Canyon, is most comfortably suited to the art-house crowd. I don’t mean to disrespect Cholodenko or her right to tell stories that speaks to her experience and that of an entire community; she is a powerful filmmaker. However, High Art was out-and-proud about its edginess and wore its social politics plainly on its stained sheets (i.e. it was overt and heavy-handed). But with her latest film, Cholodenko has finally managed to take characters with alternative lifestyles and make something more mainstream, if conventional in its telling, and deliver her lesbian themes with nuance and restraint. The Kids Are All Right kills with kindness those who still desperately hang on to conventional ideas of the nuclear family. Mia Wasikowska (last winter’s dull Alice in Wonderland) and Josh Hutcherson (the more effective Bridge to Terabithia) play Joni and Laser, daughter and son of a lesbian marriage through sperm donor. Joni recently turned eighteen and is one summer vacation away from moving on to college. Laser takes this opportunity to ask his sister to secretly contact their mysterious sperm donor (whether this is due to simple curiosity or the need of a male figure is open to debate). Julianne Moore and Annette Bening play their parents with spectacular chemistry, as if they’ve actually been married for nearly twenty years; Nic (Bening) is the uptight, controlling, nag of the couple (what parental unit is complete without? ), while Jules (Moore) plays her empathetic, lax counterpart (it’s telling that one is a medical professional while the other has only vague ideas of career ambitions). Mark Ruffalo is the donor in question, Paul – and boy does he get questioned! Ruffalo is the likeable, earthy, round peg that never fit into any square pigeonholes, but managed to make a healthy living running a co-op garden and organic restaurant. He is the exact middle of Nic and Jules since he flows through life like the seasons, but is driven enough to do something financially-stable with his life. In fact, this has made for a dichotomous individual that’s both irresistible to women, yet has little interest in settling down and starting a family. You’d be hard-pressed to find a character this interesting in something like The Switch. In the middle of The Kids Are All Right, something happens that we’ve seen in countless other films about family and marriage, which leads to a predictable discovery that we’ve also seen countless times. The conventionality of the film’s nature may be the point, as if Cholodenko means to say, “Hey, this life has the same problems as your conventional, meat-and-potatoes life.” The intent is to normalize this kind of family, which I’m tempted to respond with indifference. This would’ve been society-shattering cinema fifteen years ago, but it’s nothing new now. But I’ll restrain that cynical voice for a moment, because it’s tough to be completely indifferent toward a film with performances this first-rate and absorbing. Mark Ruffalo once again delivers with a performance full of honesty and matter-of-fact wisdom. He’s that cool neighbor you wish you could get to know better. Once he decides to make more out of his life, you can’t help hoping the best for him. 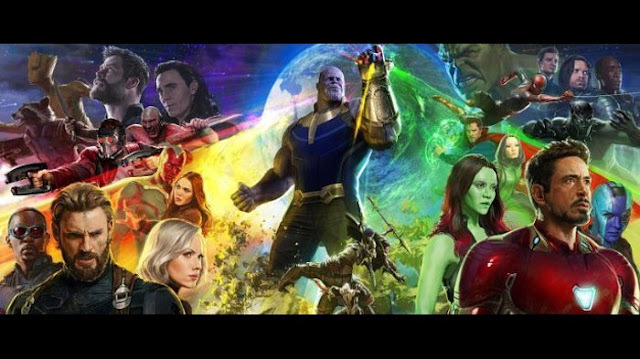 However, his outsider presence serves as the catalyst for the rest of the movie and, as is often the case with this familiar device, things may not go as well as we hope for him. Be that as it may, his performance staves off that predictability and entrances us. Moore, with her aviator glasses, jeans, and t-shirt is rock-star cool and may never have looked so hip. Twice this year (first in Chloe), she’s explored themes of marriage, aging, and emotional neglect. To be more specific would give spoilers, but Moore plays a type opposite her earlier role and digs in even deeper. Her casting in this part feels more organic than titillating. We believe her as this character, which makes her sudden actions hard to buy at its onset, but we accept it purely because of Moore’s ability to give this character dimension. This may top The Hours as the best performance of Moore’s career. Expect award nominations for her in the months to come. Bening plays a much more grounded (and perhaps better) version of her role in American Beauty; Nic isn’t nearly the despicable narcissist that Carolyn is. However we’re so relieved when Nic finally accepts her inability to maintain control that when reality crashes down on her we become fearful of how she might respond (we even fear she will take a dark, violent turn, as some characters in films of this kind do). Bening’s presence in this film is refreshing and is enough to realize we don’t see enough of her anymore. The Kids Are All Right serves as a great contemporary family dramedy for a time where family conventions of the 20th century have mutated into something slightly different. 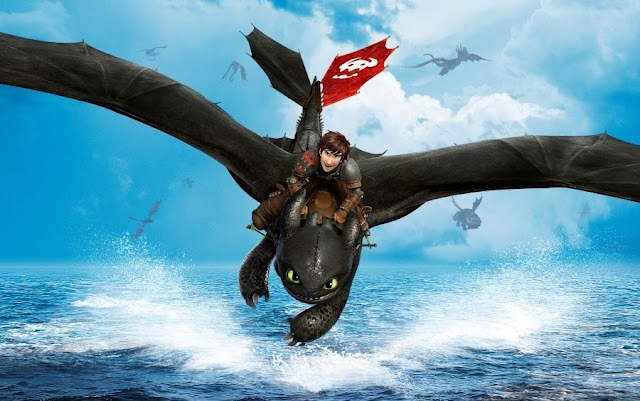 It unfortunately follows some familiar tropes that prevent the story from being wholly original. And those tropes are anchored in a story that thinks it’s ground-breaking, but is in fact at least ten years too tardy to be revolutionary. That said, the subtle handling of the situation and its subtext, as well as the performances by its adult leads holds it together and elevates the material to something really engaging. As for the kids, well, they’re alright. The Kids Are All Right is playing at your local art house and independent theater.